Fort Lauderdale hasn’t been nicknamed “The Venice of America” for nothing. This eastern seaboard is filled with beaches and boating canals that rival the Italian original. An obvious top tourist destination, this city is filled with entertainment opportunities, including shops, bars, clubs, performing arts venues, galleries, and music venues. The Beachfront Promenade is a top destination in Fort Lauderdale, closely followed by Las Olas Boulevard and Riverwalk Arts and Entertainment District. The city is also filled with unique museums, like the Stonewall Museum & Archives, Bonnet House Museum & Gardens, and the Antique Car Museum. 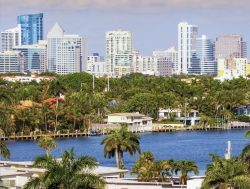 Other top destinations are the Broward Center for Performing Arts, Lockhart Stadium, Hugh Taylor Birch State Park, The Galleria, Young at Art, and Hooray for Hollywood. Fort Lauderdale is chock full of amazing restaurants, bars, and breweries for the foodie in you. Local favorites are Wreck Bar, the Elbo Room, Green Bar & Kitchen, Laser Wolf, and Betty’s Soul Food Restaurant. Howl2GO by Howl at the Moon is the premier name in Dueling Piano entertainment. Bring our incredible performance to your event in Fort Lauderdale at any venue. When you bring Howl2GO to Fort Lauderdale, you can be certain you’re getting the true Howl at the Moon experience, and with that comes the assurance you are booking only the best dueling piano performers in the country. Our fun, energetic performers are perfect for all events anywhere in the Fort Lauderdale area. Howl2GO Dueling Pianos by Howl at the Moon brings only the absolute best entertainers to your event. Whether you’re planning a corporate event in Fort Lauderdale, a wedding or private party at your home, we’ll deliver customized entertainment leaving you and your guests dancing and singing along all night. We are the first choice for all types of school, church and charity fundraisers and we ensure all our songs and material is suitable for everyone in attendance. Telling your guests in Fort Lauderdale that Howl at the Moon is providing the entertainment, is a sure fire way of attracting more people to your event! 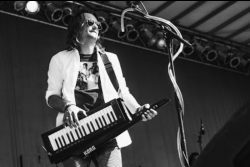 Howl2GO is the only dedicated Dueling Pianos company in Fort Lauderdale and our team works tirelessly to ensure your event is perfect. Our production team will deal directly with your Fort Lauderdale venue and, in conjunction with our Wedding Specialist, sales director and our amazing piano players, create a customized event just for you. Our Howl at the Moon musicians will take you guests’ requests live just as they do in one of our many nationwide venues. We are a perfect choice for your wedding – we keep numerous couples in Fort Lauderdale and their guests dancing all night, as well as taking care of all your ceremony, announcements and special family dance needs. Don’t risk booking a local fly-by-night company that may not even still be in business when your wedding date comes around, nor one that hires freelance players. Howl at the Moon has been rocking since 1990 and our reputation precedes us. We have a dedicated reviews page so you can read testimonials from hundreds of our thrilled clients in Fort Lauderdale. Our Facebook page features regular updates, and following us on Instagram and Twitter means you’ll stay up to date on where we’re playing next near Fort Lauderdale FL.